Interventional Pain Management Physician | Dr. Jenny Andrus, M.D. 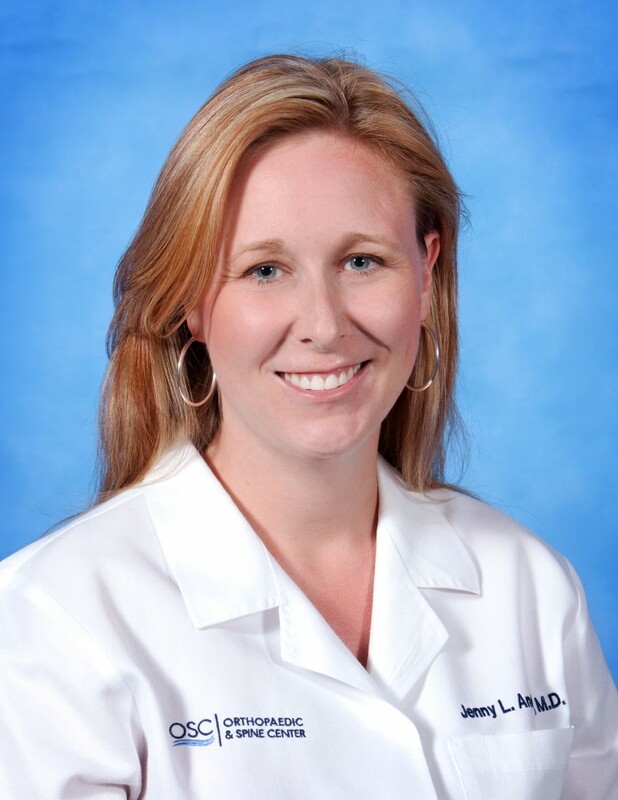 Dr. Jenny Andrus is a fellowship-trained interventional pain management physician who joined OSC in 2009. Her practice focuses on the treatment of painful musculoskeletal and neurologic disorders. She routinely treats neck and back pain, joint pain and painful neuropathy. She feels strongly in treating the whole person and often uses physical therapy, pain psychology and medications along with interventional procedures to target difficult chronic pain. Her practice focuses on improving function and quality of life. Dr. Andrus is fellowship-trained in minimally invasive procedures such as epidural injections. She performs selective injections to effectively target the pain source. Dr. Andrus is one of the areas most experienced physicians in neuromodulation (spinal cord stimulation) and has an excellent success rate with this for back and leg pain as well as neuropathy. Dr. Andrus also performs electrodiagnsotic studies which are often crucial in diagnosing the cause of pain. Her free time is spent with her husband, two sons and daughter. She enjoys gardening in the summer and crafting and scrapbooking in the winter. Contact Orthopaedic & Spine Center at (757) 596-1900 to make an appointment with Dr. Jenny Andrus or one of our other medical specialists. To learn more about our practice and services, view our educational videos.